Last weekend, I posted a public challenge to stop dreaming about one of your big ideas and take action — to “potty-train” your passion in 48 hours. I chose something I had been thinking of doing for years. I always wanted to learn to roast coffee beans. Hundreds of people responded with all kinds of crazy projects, including mastering the art of calligraphy, learning how to edit video, and even writing a book. So of course, I had to get into the game. My challenge was to apply what I teach in the Art of Work course and to take a passion and go pro with it. So I decided to learn how to roast coffee and try to sell a bag before Monday afternoon. You can’t use your existing platform. “You have to do it like a regular Joe,” he said. Bootstrap the whole thing. Everything had to be free or really cheap so anyone could easily replicate the process. You have to make a sale. “Can’t I just give it away?” I asked. “You’re teaching people to go pro, right? Pros get paid.” Fine, I said. So I posted on this blog, announcing the challenge, and that’s when I got really nervous. But since I teach this sort of thing in my new course, I figured I had to give it a shot. First thing I did was message my friend Marissa who had moved to Raleigh and gotten involved with a coffee company to tell her what I was doing. “You have to connect with Joe!” she told me. Joe wasn’t shy to tell me my beans weren’t very good and offered to send me some better ones. He also recommended getting a good story and “hipster” brand. I was eating some goat cheese at the time and looked at the label. “How about Tipsy Goat?” I said. 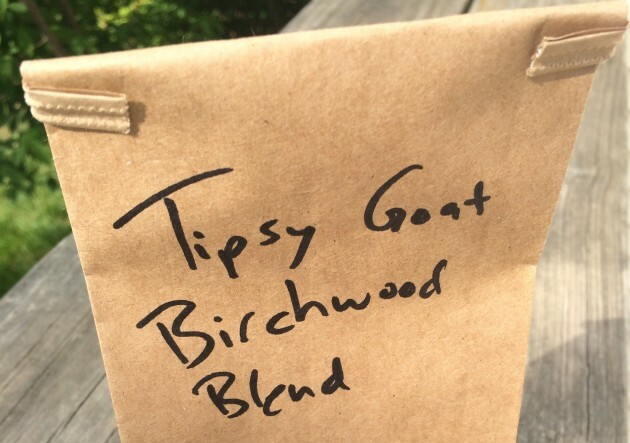 That’s how Tipsy Goat Coffee Roasters was born (before I even had roasted a single bean of coffee). I made plans to roast the green coffee beans that had been sitting in my cupboard for over a year. I had bought them 15 months ago during a trip Africa and had been waiting for the perfect moment to roast them, which never came. 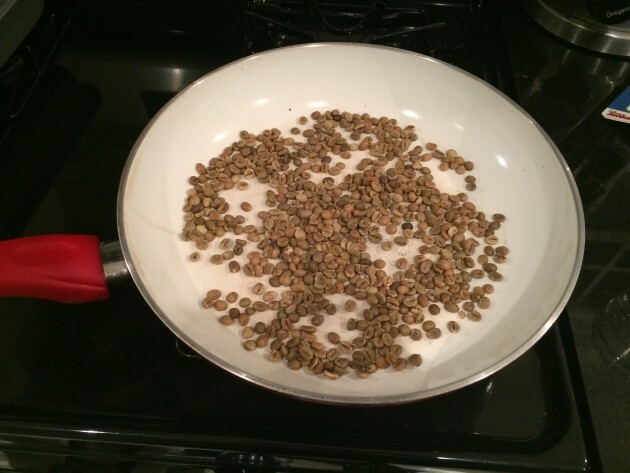 That night, I followed step-by-step online instructions to roast the beans, using a skillet. The end result was what looked like a medium roast. Yay! I didn’t set the house on fire. After brewing a cup of coffee made from my freshly-roasted beans, I had to admit she had a point. You win some, you lose some. But at least I had a product. Somewhere around midnight, after the beans were roasted, I realized something. 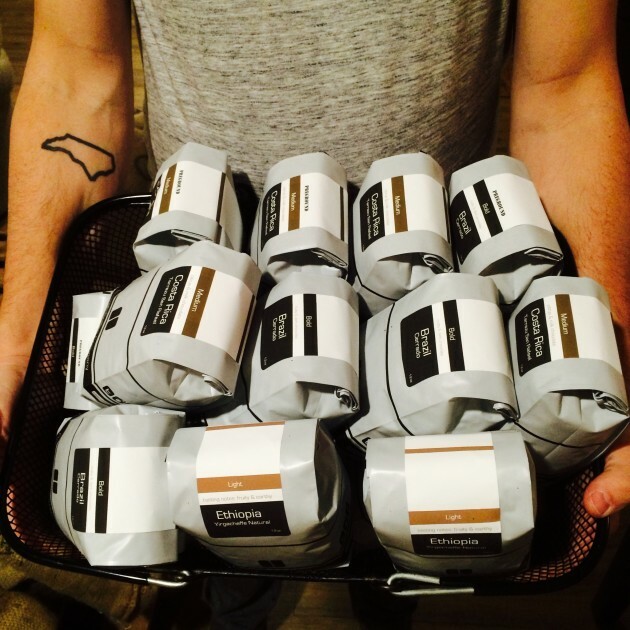 Why was I, a writer, trying to launch a coffee company? 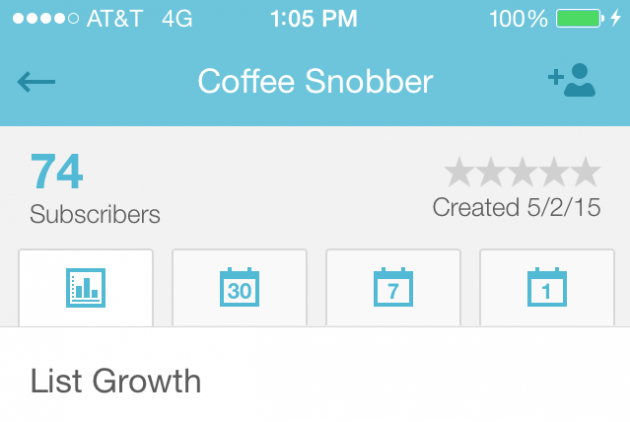 Wouldn’t it make more sense to start a coffee blog? So I did just that, using Bluehost to register and host the domain for $11 total. 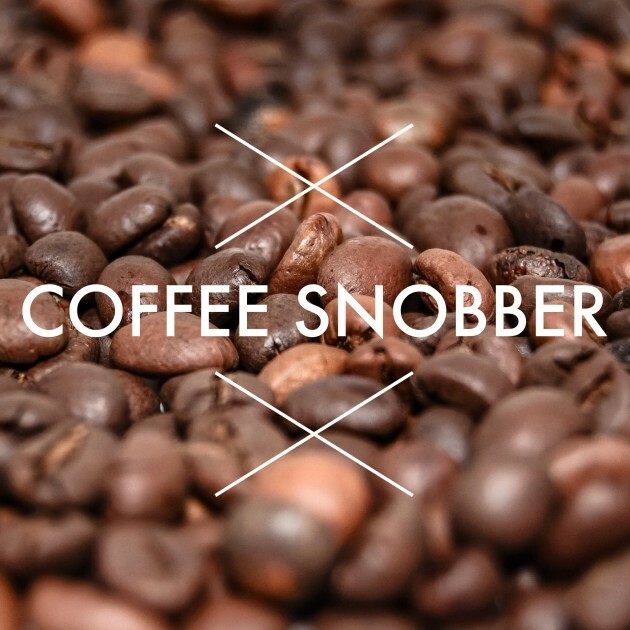 And just like that, CoffeeSnobber.com was born. In minutes, I had a WordPress blog online. I created a logo using WordSwag, wrote a post for the blog, set up Twitter and Facebook handles, and called it a night. 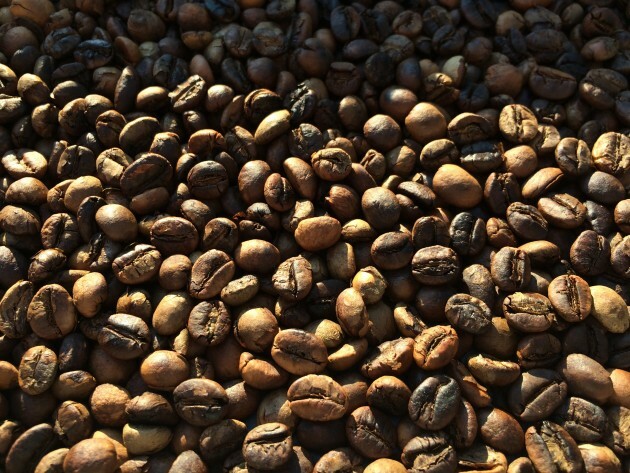 I had my beans roasted, some social media accounts set up, and a new website. Now, I just needed people to show up. The next morning, I texted a few friends, telling them about my new hobby and asked if they were interested in hearing more about it. Those that said yes were added to a new email list on Mailchimp. Then, I searched #coffee on Twitter and followed and engaged with several people who came up. Then I messaged a few Facebook friends, sending them a link to the blog, telling them I was working on a new project. By the afternoon, I had an email list of about 10 people. Now, I needed to grow. So how would I, a new coffee roaster, attract the attention I needed to make a sale in the next 24 hours? I put myself in the shoes of my audience: What would I want? That evening, I texted my new friend Joe and asked if he’d be willing to donate some coffee for a giveaway I was doing. He was all in. I couldn’t believe this guy. And thus, the Win a Year’s Worth of Free Coffee contest was born. I sent the link to my small list of friends, posted it to my small but surprisingly growing social media accounts (both were in the two digits), and went to bed. 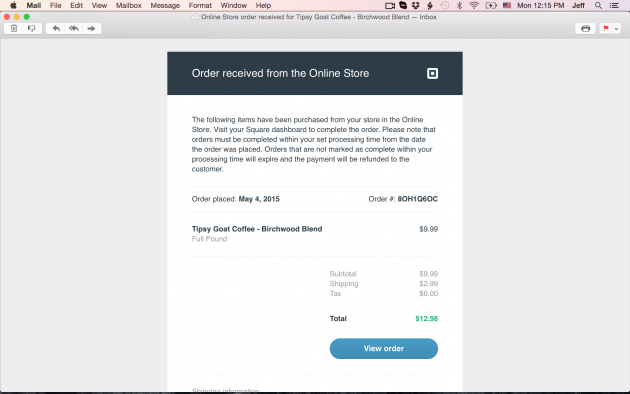 So I set up an online store using Square (they have a free 30-day trial period), created a product for my one bag of coffee, and poured the beans into a bag I got for free from the local coffee shop. I now had a packaged product. Then I sent an email to my list, telling people about the new blog and what I hoped to do with it and told them if they wanted to support me, they could buy a bag of coffee. And here’s the crazy part: one of them actually did. I met a local friend for lunch and hand-delivered the bag myself, thanking him for helping make this crazy experiment a success. Starting is hard, but not impossible. I was surprised at how challenging it was to start from scratch. Without using any of my existing resources, I had to get creative. You have more resources available than you realize. The green beans in my cupboard. The free bag at the local coffee shop. The phone call with Joe. All free. Don’t underestimate the power of local connections. Sometimes with the Internet, we overlook the importance of people we interact with on a regular basis. But if you want to launch a passion project, why wouldn’t you include your closest friends and family? Justin Dye who wrote a 4500-word outline for his new book and rolled out a social media campaign for his new business. Watch his video summary here. Pamela Hodges who put off yard work to create a series of watercolor prints to sell online. These were so amazing I bought one myself. Ashley Espinoza who learned how to shoot and edit a video over the weekend and used it to grow her ministry’s email list. The bottom line is this: When you put your mind to something, you can accomplish a lot more than you realize. Recently, I recorded a podcast sharing more of the lessons I learned from this experiment. Listen in here: Get Paid to Pursue Your Passion in 48 Hours. When was the last time you did something you didn’t think you could do? Share in the comments. Previous: Can You Master a Skill & Get Paid for It in 48 Hours? This is absolutely brilliant. Love how you share how so much that might seem possible actually isn’t with the right amount hustle, connections, and a great deal of thought. Will definitely have to try something like this soon. Thanks for sharing your process with us; anything is possible with some hard work and ingenuity. I also made a sale from sharing my blog on FB. An old friend contacted me after reading my post where I reviewed my experience with Odesk. She has hired me to proofread/copy edit her blog of daily movie/TV reviews:) So, thanks again! I did it! Thank you for creating the challenge. And thank you for choosing me as one of the winners. Now I have to weed the garden. Congratulations Pamela – well deserved! So what’s happening to the coffee business and the folks on the list? 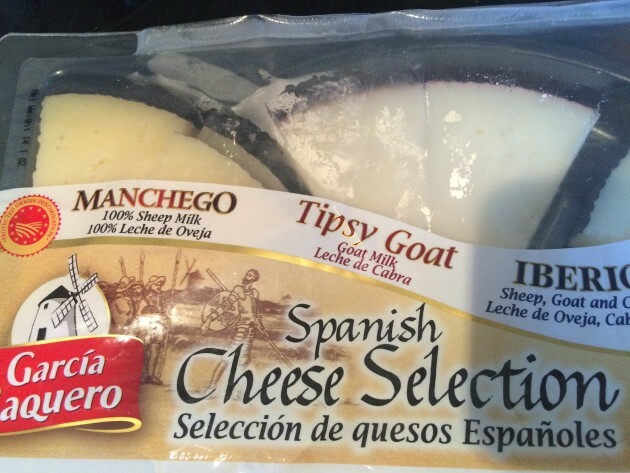 Please tell me the Tipsy Goat isn’t being put out to pasture …. Oh it’s definitely sticking around. At least for a while. But not a long while it seems. Hard to live on one $10 sale made to a friend I guess. Congrats to each winner! 😉 Jeff, thanks for breaking this down so I could see the process. And congrats on your new coffee biz! This was awesome, Jeff. I loved reading the step-by-step. In the spring of 2014, I decided to start a mobile women’s fashion retail business. After spending some $$$ on a LARGE ( 17 passenger van ), I discovered that there are all sorts of hoops to be jumped thru, for permits ( imagine, having to ask permission to engage in a Constitutionally “free market place” … ) and licenses, I began looking elsewhere for an entrepreneurial occupation. I came across a video of a man, who, with his wife, took a missionary trip to Kenya and ( Lonnnnnnnnnng story short ) decided to start up a coffee roasting business out of his home. That was it for me. 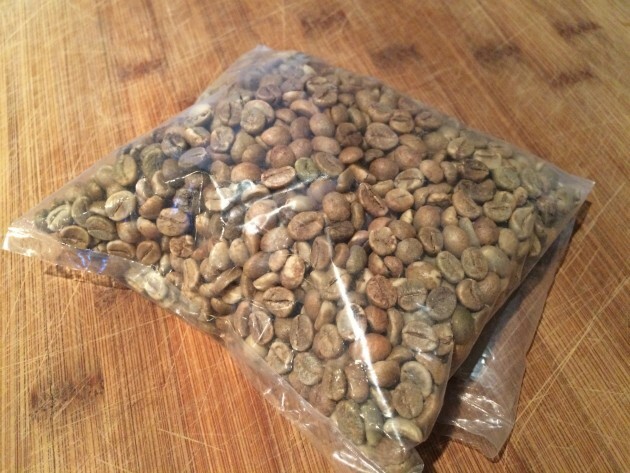 I have now have spent about 16 months, researching coffee roasting, have found a good wholesaler out of New Jersey, and have been roasting coffee for any who indicate in interest in trying it out. This has slowly turned into a growing # of people, having tasted greatness, who are sending me checks and anxiously await their next home-roasted fix. Do you think I’ve tho’t of quitting ? More than a few times … and then I see the expression on someone’s face as they get their first taste of my home-roasted & home-brewed coffee … and I realize ( again ) that this coffee venture has just begun … and that I can’t quit. I got my start with next to no money … and was blessed with a growing # of people who willingly helped finance my start up. You can read more about my story, as it unfolds, by looking up “Pay It Forward – SLC” and also, on Facebook, “Pay It Forward Coffee – SLC ). Awesome! This was the most enjoyable blog post I have read in a long time. I loved reading about your process. I love everything about this. Love it Jeff!! Shows we can do more than we thought if we just start. Great inspiration!! Love this! Jeff, have you read 7 Day Startup by Dan Norris? If not you would find it really interesting. Quick read and lots of great content. I used it to launch a new business in a week and it was a thorough and helpful framework. Huge congrats to the three winners – all three are obviously talented and motivated. In all frankness, the Art of Work did not hit my radar strongly because I was over-committed at the time. But, this is awesome nuts and bolts stuff here – and is much appreciated Jeff. Awesome! couldn’t participate this past weekend, but you have me thinking about taking up the challenge anyway. So basically you sold one package of coffee that tastes like pee (therefore it was probably the only package you will ever sell) under a stolen brand name? I absolutely love this! I missed your original challenge. I would have jumped in with homemade pallet wood clocks. Here’s your next challenge: do the same thing without the help of ANY social media 😉 I am wondering what becomes of the coffee company and blog…Keep or not? So awesome Jeff! Love this. We live in this amazing time when we can easily test out a business idea for barely any investment. I did this last year with photo greeting cards, initial cost was about 5 dollars, posted them on my FB, sold two cards the next day, and then set up an Etsy store. Very insightful post Jeff! Can I translate this post to Chinese for non-profit use. So what would you have done had you not had the connection ? If you knew no one or hadn’t had “that” friend ? Also where did you get all those coffee bags from for free ? The coffee shop wouldn’t give you those for free without a connection.